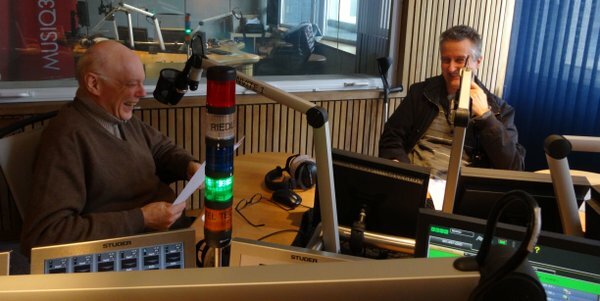 and Michel Herr were interviewed about the 40 years of the "Lundis d'Hortense"
and the 4 concerts organized on this occasion in Brussels. A.o. a concert with Michel Herr conducting the Bravo Big Band. Here, Charles Loos (pianist, composer) and Michel Herr. RTBF radio studio, Brussels, April 13, 2016. Photo : Philippe Baron.